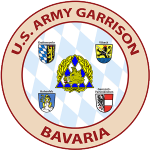 GRAFENWOEHR, Germany — U.S. Army Garrison Bavaria’s Central Issue Facilities will be closed for a change of accountability officer inventory in February. Both the CIF at Rose Barracks and Hohenfels (HTA) will be closed Feb. 4-15. CIF will provide emergency ETS and chapter support for service members during the closure. Military Personnel Division (MPD) will schedule appointments with CIF personnel for service members who fall under emergency support. Regular PCS and ETS Soldiers can be cleared by their supervisor or unit supply sergeant with the appropriate power of attorney after the inventory is completed. In-processing support will commence Monday, Feb. 18. CIF will provide additional appointments during direct exchange walk-in days to reduce in and out processing backlog. Direct exchange walk-in days for Vilseck is Tue-Wed and Tue-Fri for Hohenfels.